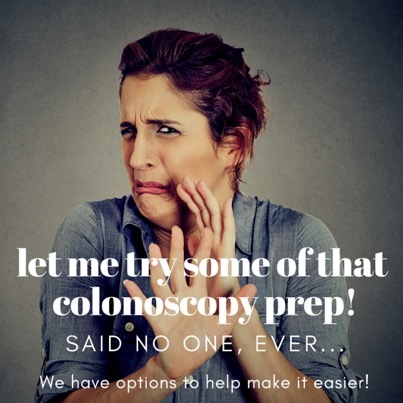 We hear this every day as a reason why someone is hesitant to have a colonoscopy. 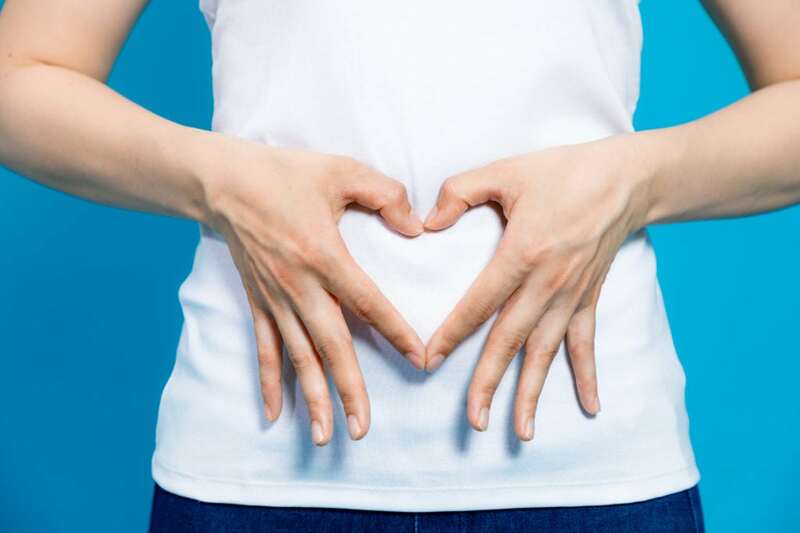 The dreaded preparation is one of the frustrating barriers that prevents about half of Americans from getting the necessary screening for colon cancer. This is so disheartening because adhering to screening recommendations can reduce your risk of the third most common cause of cancer deaths by 75-90%! You can eat breakfast the day before the procedure – studies have shown that a low fiber breakfast, for example eggs, ham, and a white bagel, not only does not harm the quality of your colon cleansing, but it may actually improve cleansing quality by enhancing colon motility. Smaller volume preparation solutions – in the old days, our only choice was 128 ounces (that is 4 liters!) or a salty detergent tasting solution called Golytely. Two newer preparations on the market, Prepopik and Clenpiq, are only 10-11 ounces! Now you still need to hydrate yourself aggressively, but with the clear liquids of your choosing. Changing up the flavor of the preparation solution – it is standard of care for you to drink two separate rounds of the prep solution, one the evening before the test and the second just a few hours before. Many patients will say that they can’t even stand the smell of that second round of prep drink. Plenvu, the newest colonoscopy preparation solution, has tried to solve this problem by making two different flavors, mango and fruit punch. Patients have had much better success tolerating that late night round when it is a different flavor. Variety of choices – at Comprehensive Gastrointestinal Health, we know that one size definitely does not fit all. We offer FIVE different preparation options and would be more than happy to review with each individual what might be the best fit for them. Abundant tips and hints for a smooth process – when it comes to your colonoscopy preparation, there is no such thing as over-information. In the office, a nurse will review the preparation information with a Power Point visual presentation and demonstrate with samples of the medication. Our detailed nine-page information packet about the preparation is emailed to you and reviews all the tricks you can employ to make the process as easy and efficient as possible. In the week before the test, frequent emails are sent to remind you about the supplies to pick up, diet adjustments to make, and other hints for comfort and success. We are eager for you to visit our brand new beautiful and state of the art endoscopy suite. Convenient early morning and Saturday appointment times, a deluxe “spa-like” comfortable environment, and the highest quality technology and techniques, aim to make the process as pleasant, effortless, and efficient as possible, while simultaneously maintaining the highest quality and safety standards. Call 224.407.4400 or email info@compgihealth.com for a procedure or consultation appointment now.